State-by-state summaries of Debt Collection Laws and Federal Bankruptcy Court Information have recently been updated, and a complimentary PDF copy of each is available for download by logging on to www.nationallist.com. Registration is free. Each year, The National List of Attorneys compiles an exclusive list of collection laws by state. 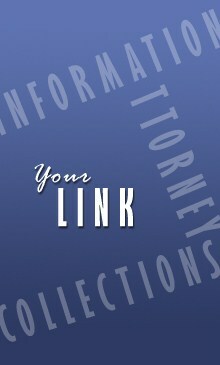 We work with one law firm in each state to gather the information. This is a state-by-state compilation of Federal Bankruptcy Court contact information. In states where applicable, it also provides a county listing and a corresponding number that shows which court house to file in. The National List verifies the information annually by checking each court’s website or by making calls when information isn’t available online. As your information provider for the debt collection industry, we encourage you to take advantage of these and other resources, as needed. Log on to www.nationallist.com and register, if you haven’t already done so. Click on Resources and/or Registered Members & Clients to see menus of the information that is available to you at no cost. There will also be a link in our July 24th newsletter advising of the updates. ‹ Will you choose the best debt-collection attorney for the job? How NL can help you.